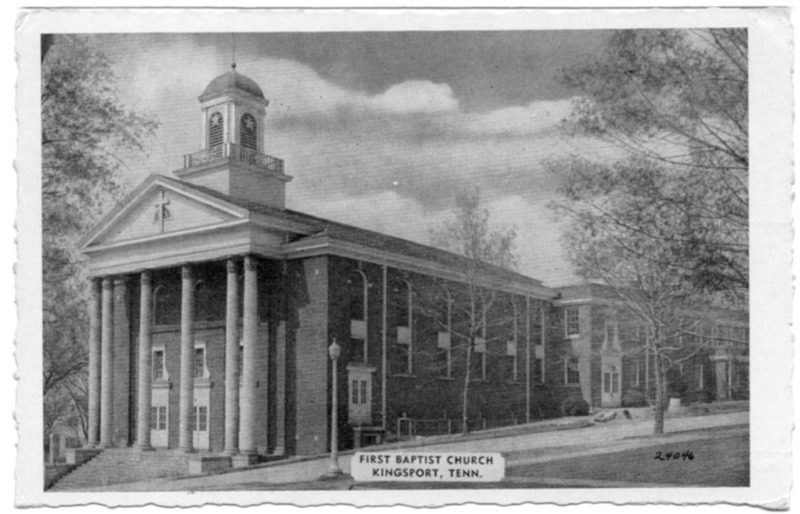 This was how First Baptist Church looked in the mid-40s. There’s a color shot of this around, but it’s a commercial card that has been pretty heavily retouched. This card was produced by the church. upper left: Picture of L.B. Cobb, the pastor at the time. 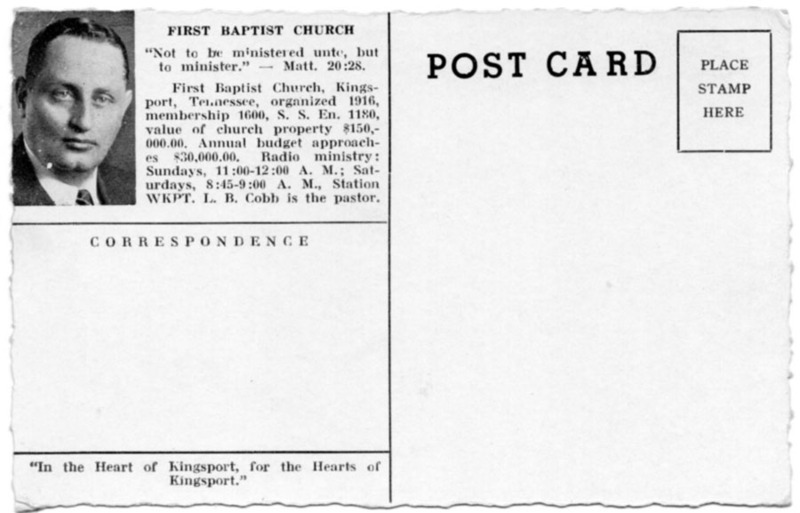 First Baptist Church, Kingsport, Tennessee, organized 1916, membership 1600, S.S. En. 1180, value of church property $150,000.00. Annual budget approaches $30,000.00. Radio ministry: Sundays, 11:00 – 12:00 A. M.; Saturdays, 8:45 – 9:00 A. M., Station WKPT. L.B. Cobb is the pastor. This entry was posted in Kingsport TN ephemera and tagged Kingsport TN on February 21, 2016 by Bob Lawrence.